The power to deliver. The precision to succeed. And the knowledge to make it happen - just so long as your luggage doesn't get lost. Next time you cross into the blue, make sure you put a couple of our U.S. Air Force Luggage Tags on your bags - just in case! 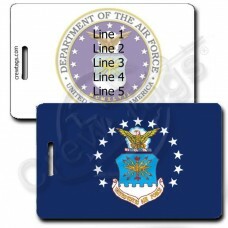 Grab these United States Air Force Luggage Tags to show support for your favorite service!We can pri.. 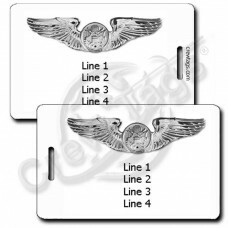 Grab these United States Air Force Air Battle Manager Wings Luggage Tags for your next trip. We can .. 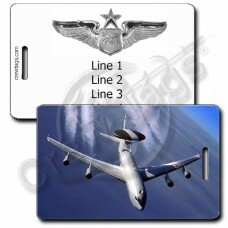 Grab these United States Air Force C-141B Starlifter Luggage Tags with your favorite aircraft! .. 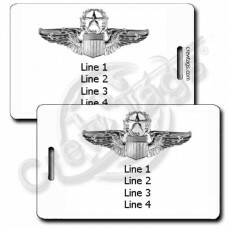 Grab these United States Air Force Command Pilot Wings Luggage Tags for your next trip.We can print .. 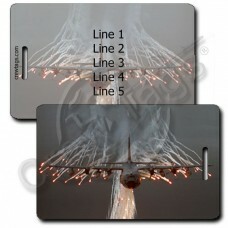 Grab this United States Air Force E-3 Sentry Luggage Tag for your next trip! We can print just ab.. Grab these United States Air Force Enlisted Aircrew Wings Luggage Tags for your next trip. We can pr.. 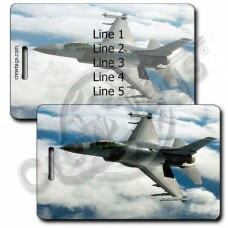 Grab these United States Air Force F16 Fighting Falcon Luggage Tags with your favorite aircraft.. 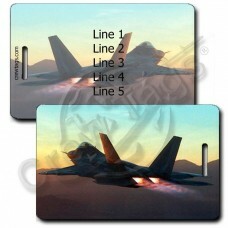 Grab these United States Air Force F-22 Raptor Luggage Tags with your favorite aircraft!We can print.. 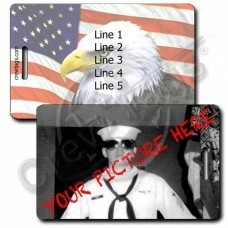 Grab these United States Air Force Flag Luggage Tags to show support for your favorite service!We ca.. 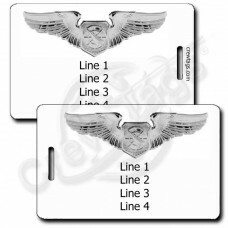 Grab these United States Air Force Flight Nurse Wings Luggage Tags for your next trip.We can print j.. Grab these United States Air Force Flight Surgeon Wings Luggage Tags for your next trip.We can print.. 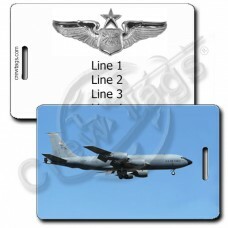 Grab this United States Air Force KC-135R Luggage Tag for your next trip! We can print just about.. 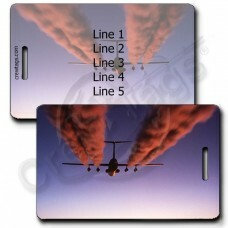 Grab these United States Air Force MC 130E Combat Talon Luggage Tags with your favorite aircraft!We ..